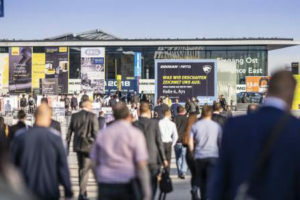 1,553 exhibitors, more than 91,000 vis­i­tors and of course Messe Stuttgart itself can look back on a suc­cess­ful AMB 2018. All the glob­al mar­ket lead­ers pre­sent­ed their pro­duc­tion inno­va­tions on more than 120,000 gross square metres of exhi­bi­tion space spread across ten halls – and the AMB proved once again just how much Stuttgart has its fin­ger on the pulse of met­al­work­ing. How­ev­er, break­ing quan­ti­ta­tive records was not the only goal – there was also a strong focus on offer­ing high qual­i­ta­tive stan­dards. Vis­i­tors to the AMB ben­e­fit­ed from the event’s unique knowl­edge trans­fer and received valu­able ideas on, and solu­tions for, cur­rent issues – equip­ping them opti­mal­ly for meet­ing the lat­est chal­lenges. There were numer­ous high­lights in the AMB’s high-cal­i­bre sup­port­ing pro­gramme. Trade vis­i­tors were treat­ed to an overview of trend top­ics, for exam­ple at the spe­cial “Met­al­work­ing Inno­va­tion Tour” show organ­ised by the Insti­tute of Pro­duc­tion Man­age­ment, Tech­nol­o­gy and Machine Tools (PTW) from Tech­nis­che Uni­ver­sität Darm­stadt. The lead­ing inno­va­tors in the field of machin­ing pro­duc­tion pre­sent­ed their trend-set­ting prod­ucts in the Paul Horn Hall (10), offer­ing solu­tions for the met­al-cut­ting prob­lems of tomor­row. A task which AMB set itself was inspir­ing enthu­si­asm for the met­al­work­ing sec­tor in the next gen­er­a­tion and con­vinc­ing them of the pos­i­tive ener­gy to be found in the indus­try. The World­Skills Ger­many com­pe­ti­tion, for exam­ple – the nation­al pre­lim­i­nar­ies of the inter­na­tion­al com­pe­ti­tion for young machin­ists and mechan­ics – was held at the AMB. The win­ners in the CNC Milling, CNC Turn­ing and (for the first time) Poly­me­chan­ics dis­ci­plines earned places in the Ger­man nation­al team at the World­Skills 2019 event in Kazan (Rus­sia). A key aspect that was fea­tured in all the halls, and rep­re­sent­ed a core focus in the Dig­i­tal Way spe­cial show and con­fer­ence, was the top­ic of dig­i­tal­i­sa­tion in pro­duc­tion. The spe­cial­ist con­fer­ence includ­ed 36 exclu­sive pre­sen­ta­tions and was accom­pa­nied by a wide-rang­ing exhi­bi­tion fea­tur­ing around 30 exhibitors. Vis­i­tors, and in par­tic­u­lar those respon­si­ble for dig­i­tal­i­sa­tion in their com­pa­nies, were able to explore inno­v­a­tive solu­tions for recog­nis­ing and exploit­ing the poten­tial of dig­i­talised pro­duc­tion. Last but not least, the Gewa­tec Learn­ing Fac­to­ry and the Elabo Smart Fac­to­ry pro­vid­ed live oppor­tu­ni­ties for expe­ri­enc­ing net­worked inter­con­nec­tion. 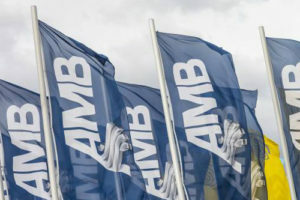 Save-the-date: AMB will be cel­e­brat­ing its 20th anniver­sary event from 15 – 19 Sep­tem­ber 2020.